From King-wa and Michael Chau. 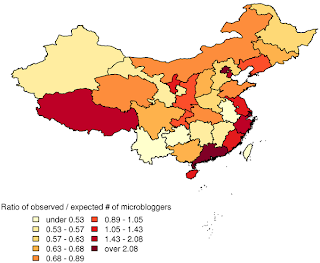 "Reality Check for the Chinese Microblog Space: A Random Sampling Approach." PLoS ONE 8(3). 2013. The Chinese government's ongoing campaign against "online rumors" and the devils who spread them has the blogosphere's China hands aflutter. A great number of articles and blog posts have explored the topic; this week Pop Up Chinese's renowned Sinica Podcast adds their voice to the chorus. Tea Leaf Nation founders David Wertime and Rachel Lu were brought in for this discussion. As usual, the podcast is excellent. I think this is an important point if we are to truly understand the Internet in China. The vast majority of social media users in China are non-political, or shall we say de-politicized. The main interest for the vast majority of users is to follow celebrities and socialize with friends. In this sense they are little different from social media users the world over. Yet our discussion of Weibo only ever focuses on that small minority that are politically active. In the three years I've been on Weibo, I have been a front-row witness to the Weibo boom and subsequent decline as users increasingly migrate to WeChat. In talking with friends, fans and acquaintances, the main reason people give is that Weibo is too depressing and the online discussion is too angry. It's still a great place to follow celebrities, but most users are frankly not that interested in the debate over constitutionalism or the endless exposition of social evils and corruption. Political junkies love that stuff, can't get enough, but ordinary grassroots Weibo users gradually tune out. It's depressing and they feel it's irrelevant to their daily lives. This is what I feel is missing from the Western discussion of Weibo, whether in this podcast or on sites like Tea Leaf Nation in general. We only ever discuss the political slice of the big pie, and then only from the perspective of activists who are (to say the least) out of favor with the Chinese state. This only helps reinforce the perception that Weibo is all about the people vs. the state, to repeat the grossly-overused analogy: a cat and mouse game. It's a very limited and facile view that distorts our Western understanding of social media in China  (emphasis added). This is excellently said. It needs to be said and then said again until Western editors stop penning titles like the one I came across this morning: "Crackdown Highlights Weibo Power." Mr. Rowswell's comment suggests why these headlines miss the mark. I would suggest that he does not carry this point far enough. Not only do Weibo politicos poorly represent Weibo users as a whole, but Weibo users as a whole do not represent Chinese internet users, much less the Chinese people. So who are Sina Weibo's active users? ...The study found that less than 5% of non-zombie Weibo users wrote a post that elicited a comment or was reposted, suggesting that much of the discussion on Weibo is being driven by a small group of influential microbloggers. If influence is skewed on Weibo, so too is the location of users, according to the study. The authors found that Beijing, Shanghai, and the province of Guangdong, which account for 9% of China’s Internet population, were home to more than a quarter of the 12,000 Weibo users they studied. As one might expect, the study found the greatest penetration of Weibo users on China’s more wealthy east coast." (emphasis added). "I have two friends; let’s call them L and W. L works at a company in Shanghai and spends half of his time running off to Guangdong. He graduated from a not-very-famous university in southern China, a simple guy with small eyes who used to be a young intellectual many years ago. The guy makes games for mobile phones, and I’ve seen him use several types of phones but the most expensive one was never more than 1,000 RMB [about US$150]. He cares a lot more about the millions of migrant laborers and struggling young graduates in the Pearl River Delta than he does about Web 2.0 or the mobile Internet. He chats with the night merchants in Dongguan, the night owls in the Internet bars outside the Foxconn factory complex, and convenience store owners who’ve earned enough to drive a BMW. L’s business was truly taking in money every day to the point where he could afford to play golf, but he never wanted to tell outsiders that he was making money. I know people won’t believe it, but hundreds of thousands of laborers making less than 2,000 RMB per month were paying hundreds of yuan a month in ARPU [average revenue per user] to play games made by L’s company on their fake, 300-yuan cell phones. Put another way, they were happily giving about 1/10 of their entire income to L. Sometimes I can’t figure it out myself. W’s target customers were obviously elite customers from Beijing, Shanghai and other big cities who had more purchasing power than anyone. Why is it that although these people were willing to spend to buy the newest phone, upgrade to the newest laptop, and eat at the best restaurants, they still wanted everything online to be free? China does not have an “Internet for all,” rather, the Chinese Internet is separated by its people. It exists simultaneously in the Thinkpads of elites and the fake MTK cellphones of the grassroots. While our elites perhaps keep pace with the Americans, our grassroots is instead keeping pace with the Vietnamese. The truth is, China’s “age of digitization” is only happening in big cities like Beijing, Shanghai and Guangzhou among a few tens of millions of middle-class between the ages of 20 and 40. The remaining hundreds of millions of Chinese Internet users are QQ users from head to toe. [QQ is a popular messaging service but is not considered prestigious or high-end.] The Internet cannot itself change this status quo. Could it be that a macro-level revolution in the society and the economy is required? There is no evidence that the 30 million people who actively use Sina Weibo or the even narrower group of politicos who catapulted the Big Vs to prominence share the tastes, preferences, or political beliefs of the "QQ grass root" users Shen Yin talks about. If we want to truly understand modern China and its internet then this reality must be recognized. Mr. Rowswell is something of a nobody in west but a great somebody in China, where he is a well known comedian (his Chinese name is Dashan). Youtube has a short video of one of his comedy routines; Dawei has a great article introducing the xiangsheng comedic tradition he has adopted. Dashan 大山. Comment no. 2 (21 September 2013) on Sinica Podcast. "Chinese Twitter and the Big-V Take Down." Pop Up Chinese. 21 September 2013. Paul Mozer. "How Many People Really Use Weibo?" Wall Street Journal. 12 March 2013. The original study is: Fu King-wa and Michael Chau. "Reality Check for the Chinese Microblog Space: A Random Sampling Approach." PLoS ONE 8(3). 2013. Shen Yin. "Telling You the Truth about the Chinese Internet: The Elites and the Grass-roots" in "Why China Had Two Internets, Not One, and What To Do About It." trans. David Weirtime. Tea Leaf Nation. 3 August 2013. John Quincy Adam Ward. 1863. 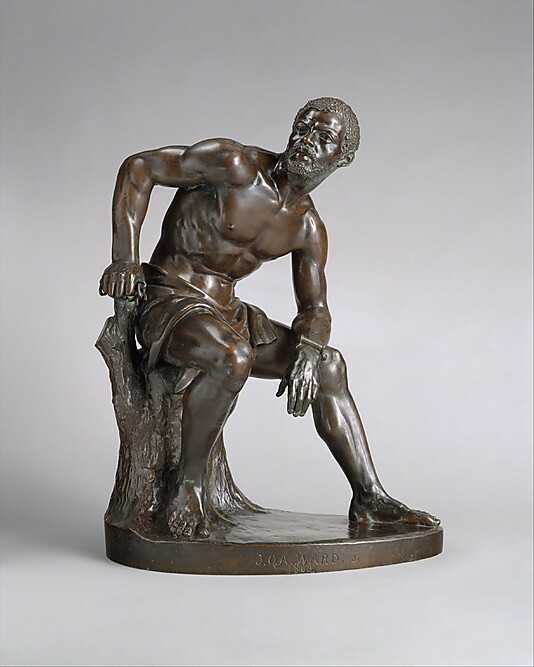 Displayed in the Metropolitan Museum of Art. The phrase "one man's terrorist is another man's freedom fighter" is a truism long accepted. I do not question the general truth this phrase attempts to convey, but I sometimes find it obscures more than it reveals. Men on opposing lines of battle may both fight in the name of freedom yet be fighting for very different things. "Freedom" comes in all shapes and sizes; when a Pashtun elder uses a word like freedom he may not be thinking anything close to the thoughts expressed at the average American Independence Day parade. In the 21st century the word 'liberal' is used in odd ways. For Americans it has become associated with multiculturalism, the welfare state, and progressive social policy. This is not the type of liberalism here referred to. Instead we speak of the old fashioned, classical liberal, proto-libertarian, John Locke type liberalism. I am not a liberal. 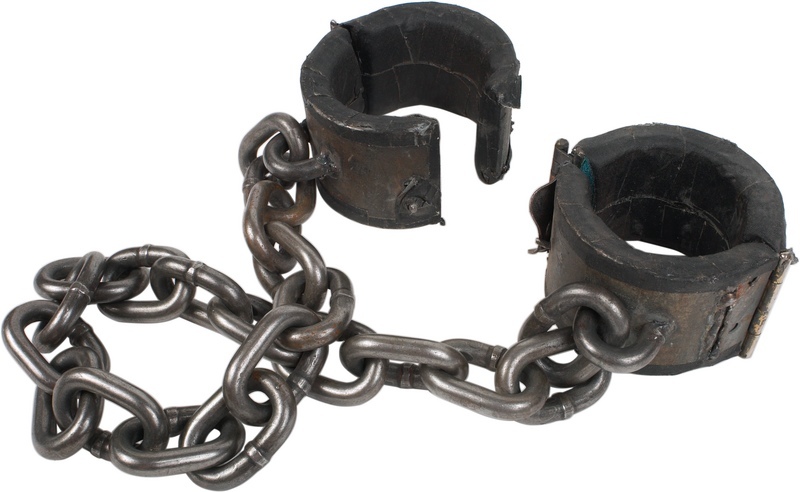 I like those folks, but I am not one of them and I find their central contribution to theories of freedom – the idea of natural or civil ‘rights’ and the ‘negative liberty’ they imply – less useful and easily manipulated by those in power. The problem is not that 'rights' are a meaningless concept or that they should not be protected from violation. Men and women do have rights that deserve to be protected. But a political philosophy fashioned for this purpose is a brittle construction. It looks well in the cloudy realm of philosophers and theoreticians, but crumbles once it contacts the tangible world of people and their politicking. If you fight for rights then rights will be given - but at what cost and to what purpose? Those who try to live these theories forget the world they live in. Neither the abstract theoretician listing his liberties or the starry eyed idealist crusading for his rights will find comfort in the cold halls of power. It is not their domain, and here the trouble lies. It is just too easy to get these searchers to trade power for the siren promise of rights, never realizing that once their power is gone there is nothing but the good will of those higher up to ensure those rights remain honored and unviolated. I find myself much more comfortable with the republicans. I do not mean the current monstrosity of a party that bares the name, but the old fashioned, classical, James Madison type republicans. Their great virtue was independence – autonomy, the ability of self governing men in self governing communities to govern themselves. In this view the fundamental building blocks of society are not individuals but families; the goal is not to protect an individual's ability to choose unobstructed from government, but to empower individuals and their families so that they have the capacity to make real choices in the first place. They recognize that talk of liberty is really just talk of power, and that you cannot have one without the other. Only when power is decentralized – so that families and communities can solve their own problems without relying on their betters and can successfully resist actions imposed on them by others – is real liberty possible. Rights come from freedom; freedom does not come from rights. Some may wonder if America is growing more or less free. I advise all who try to answer this question to remember the distinction between independence and rights. Independence? American families, communities, and citizens have grown far less independent with time. Their ability to rely on themselves to solve their own problems has decreased. Their ability to resist and challenge the powers that be has likewise decreased. They have become true liberal individuals – isolated cogs in a great international machine. Rights? Some individual liberties have increased. Others have not. Which is to be expected. Absent the power to defend and define one own’s freedom, rights and liberties are simply gifts from the machine. One should expect them to change with whims of those manning the control panel. The two main intellectual histories of this period each emphasize a different tradition. See Bernard Baiylin, The Ideological Origins of the American Revolution.2nd ed. (Cambridge, MA: Belknap Press). 1992. Gordon S Wood, The Creation of the American Republic, 1776-1787. (University of North Carolina Press). 1998. 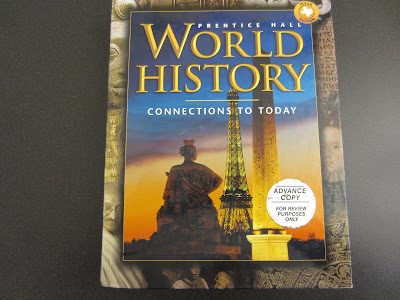 A popular 10th grade world history book by Elizabeth Ellis. I have little to add to Mr. West's defense of Southeast Asia's place in world history so I will not pursue that theme any further. 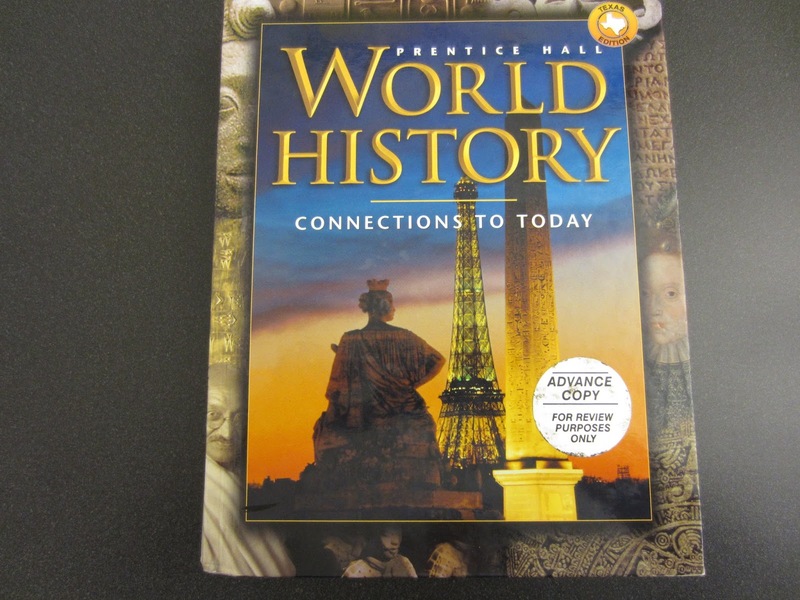 I am more interested in the general issue he has raised: what belongs in a world history book? By its nature, the scope of any world history book is incredibly, immensely large. Deciding what makes it into the book's 300 or 400 pages is hellishly difficult - and quite inevitably you will have a host of people upset that their particular academic specialty did not get the attention it deserves. How does the aspiring world historian decide what to emphasize? We can expand the question into more general terms: as time is limited, what should the student of world history spend time studying? I do not think there is a single answer to that question. What should be studied depends very much on why we are studying. I can think of a few reasons one might seriously study world history. Each reason carries with it a different set of priorities. 1. You want to understand today's world as others understand it. History is a living thing. The words and actions of dead men echo through time, popping up in poems, speeches, songs, and books thousands of years later. Most importantly, people's perceptions of the past influence how they think about the future and how they act in the present. It is hard to understand the cultures of the world if you do not understand the history that created them. like a man who has read the classics. If this is your primary interest then an interesting set of priorities arise. 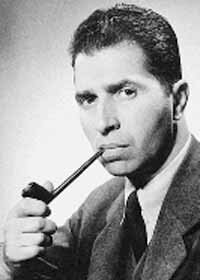 In earlier posts I have discussed Mortimer Adler's idea that Western civilization can be seen as a "great conversation" that binds the peoples of different times into one intellectual community, for "in the works that come later in the sequence of years, we find authors listening to what their predecessors have had to say about this idea or that, this topic or that. They not only harken to the thought of their predecessors, they also respond to it by commenting on it in a variety of ways.”  The historical events and persons transmitted through the "conversation" are the cornerstones of a culture's historical memory today. The Western tradition, whose conversation began with the Greeks and the Hebrews, is survived today in two branches, one of an Islamic flavor, and the other a Christian one. The Indic tradition lives strong in the subcontinent and across Southeast Asia. The Sinic tradition forms the cultural foundation of East Asia. Various peoples add their own regional touches to these intellectual traditions, but the vast majority of humanity can find their home in one (and increasingly, two or three) of these great traditions. This has interesting implications for what the world historian following this approach should focus his study on. The vast number of cultures that flourished and failed without leaving behind a literary legacy are of less importance in this schema; so too are the literate civilizations who did not persist to the present day - as beautiful or insightful as Mesoamerican, Mesopotamian, or Norse works may be, their voices have been lost from the conversation. If your goal is to understand the conversation it makes sense to study the loudest vices first. The loudest voices - and by this I mean most influential to the whole tradition or most remembered today - tend to cluster around two eras. The first is the modern era; people remember the recent. The second is each civilization's "classical age" when the intellectual underpinnings of the tradition were laid. The history - particularly its intellectual and political aspects - of these times should be a top priority, partly because they are so well known by so many people from so many different cultures today. The persisting memory of these periods is easy to see: though they live thousands of miles apart, the average Russian, Italian, Argentine, and American can tell you who Julius Caesar was. This approach is subject to all the standard criticism lobbied by social historians. It is inherently sexist, classist, and so forth. But these criticism miss the point. Whether or not you believe focusing on 'great men' diminishes history or humanizes it, you must realize that it was the dominant - and in many places the only - kind of history written for the last 2,000 years. This fact is reflected in the world's popular culture today. Historians can argue about whether or not the actions of Octavian, Abu Bakr, Cao Cao, or Siddhartha Gautama actually mattered (or even happened), but there are millions of people alive today who think they matter. You cannot understand their world if you don't have a knowledge of their sense of history. 2. You want to understand contemporary events from the 'long view'. I have written about this approach to history before. Under this schema, one values history for its ability to explain how and why the world came to be what it is now. Such a study is not focused on finding the "lessons" on history, or even the dynamics that drive it, but a lens through which to understand contemporary events. It is seeing the rise of China in the context of thousands of years of empire, a financial bail out as the culmination of a century of financial consolidation, and civil war springing from decades of religious strife. I like this approach. But it also has its biases. On the grand scale it favors the recent over the ancient. Consider the civil war in Syria. To explain why the war is being waged one must explain very recent events, starting perhaps with the Arab Spring and the Assad regime's reaction to it. But also relevant is how the regime came to power and how they favored some groups over others. Explaining this requires a longer view, looking at European and Ottoman imperial practice. One could go even further back, reaching through the sands of time until we reach the Battle of Karbala and the initial conflicts between those who would eventually be called Sunnis and Shia. But how much further could one go? In the abstract sense one can keep the story going back quite far. If you are bright enough to discern the connections you can tie any an event to almost any earlier time or place. If one is inclined, the story of Syria's civil war could easily begin with the first hominid to step out of Africa. This is the dilemma of the world historian who wishes to help his readers understand how the globe of today relates to that of yesteryear. The further back in time one goes the less relevant - though no less interesting - events and peoples become. This goal ensure that his book will favor the last 500 years of history over the 5,000 before it. 3. You want to understand how human societies work. This approach differs substantially from the other two. They are tethered to the world as it is - or as it is perceived - now. This approach suffers from no such limitations. It does not aim to tell the story of the humanity's history, but to explore human history and discover the dynamics or recurring patterns that make history what it has been and what it may be. As these histories attempt to craft generalizations and create theories that can be applied across the broad scope of world history it is here 'Euro-centrism' and its bedfellows do most harm. Hundreds of books have been written about the rise and fall of Rome, but there is nothing about its rise or fall that makes studying it inherently more insightful than studying the rise and fall of Angkor, Champa, Ayutthaya, or other Southeast Asian empires of note. A book that attempts to explain how human societies work by looking at only a small sliver of human society is deeply flawed and it is here that both students and authors must work hardest to capture the true breadth of world history. Those are my initial thoughts. Untypically, this post was written off the cuff. There are perhaps other reasons one might study world history that have not occurred to this author - if any of the Stage's readers study world history in pursuit of a different end than the three I shared here, please feel free to share them. This is particularly troublesome because I often rely on the bibliographies of the best globe spanning histories to know which regional studies are worth reading. For this reason alone I am incredibly grateful that Al West wrote a large annotated bibliography of books on Southeast Asian culture and history worth reading. It can be found here. It Is Time To "Take The Internet Back"
"The US government has betrayed the internet. We need to take it back"
Bruce Schneier. The Guardian. 5 September 2013. Government and industry have betrayed the internet, and us. By subverting the internet at every level to make it a vast, multi-layered and robust surveillance platform, the NSA has undermined a fundamental social contract. The companies that build and manage our internet infrastructure, the companies that create and sell us our hardware and software, or the companies that host our data: we can no longer trust them to be ethical internet stewards. The Guardian has allowed Mr. Schneier access to the Greenwald-Snowden collection of documents taken from the NSA. This call to action was prompted by what he has found. (In addition to this essay he penned a short summary on how to remain secure from NSA surveillance based on the Snowden documents). Generations from now, when people look back on these early decades of the internet, I hope they will not be disappointed in us. We can ensure that they don't only if each of us makes this a priority, and engages in the debate. We have a moral duty to do this, and we have no time to lose. Dismantling the surveillance state won't be easy. Has any country that engaged in mass surveillance of its own citizens voluntarily given up that capability? Has any mass surveillance country avoided becoming totalitarian? Whatever happens, we're going to be breaking new ground. Again, the politics of this is a bigger task than the engineering, but the engineering is critical. We need to demand that real technologists be involved in any key government decision making on these issues. We've had enough of lawyers and politicians not fully understanding technology; we need technologists at the table when we build tech policy. To the engineers, I say this: we built the internet, and some of us have helped to subvert it. Now, those of us who love liberty have to fix it. Read this and share it. On year ago President Obama declared "We have been very clear to the Assad regime, but also to other players on the ground, that a red line for us is we start seeing a whole bunch of chemical weapons moving around or being utilized.” Chemical weapons have been used. Some suggest that America will lose "credibility" if she does not honor the president's promise and respond with military force. One wonders what kind of 'credibility' they are thinking of. "You know," he says, "I think Americans are liars." She replied with a chortle. "How many have you met? I think I am honest enough." "You know I did not mean you. I was actually thinking about your government." "If it makes you feel any better, I think most important people in the U.S. government are liars too. It comes with the job description. But if you don't mind me asking, what brought you to the same conclusion?" His was a hollow laugh. "That is just it. You all think your politicians are liars but then America turns around and lectures the rest of the world on how great America's government is and how we should all be like you. I am no fan of my government, but at least I acknowledge what kind of government my people have." "You are thinking about it the wrong way. If the American people want liars in charge, then liars there will be. The beauty of democracy is that if those liars don't do what the people want then they get kicked out and new liars are put in." "Oh I don't care what a politician says. I care about what a politician does. All politicians will say this thing or that thing to justify their actions. What matters is if those actions are for his people or against them. 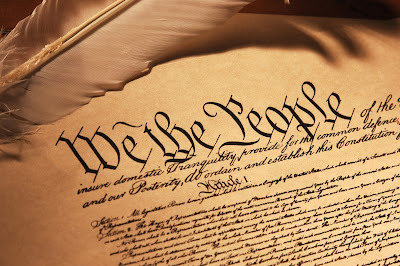 This is why I love the U.S. Constitution. By design it keeps power out of one man's hands. It forces politicians to take normal citizens seriously. It makes it very hard for one clique or class to impose its rule on the rest." "That is it. That is the lie. This idea that the United States government is "of the people" and "by the people" - that is the lie every American repeats. I am tired of it." "It cannot be a lie if most Americans believe it." "Do they? I cannot imagine them believing it. It seems so obviously false. There are too many examples...." he pauses, deep in thought. "No, they cannot believe it. It is just a veneer; a lie told to clothe naked ambition and greed." "Nah, they believe it. I believe it. And I say that truthfully." "But why? American democracy lacks integrity. Americans say their institutions are sound, but those same Americans seem to disagree with what the government actually does. Take the way the government treats the big banks. Where is the will of the American people there? Truth is, America is run by a small ruling class who cares about nothing but themselves. Just like every other country." "Look, our system is not perfect. More money is involved than ever should be. But I believe the structure is solid. This is is why we have grid-lock. 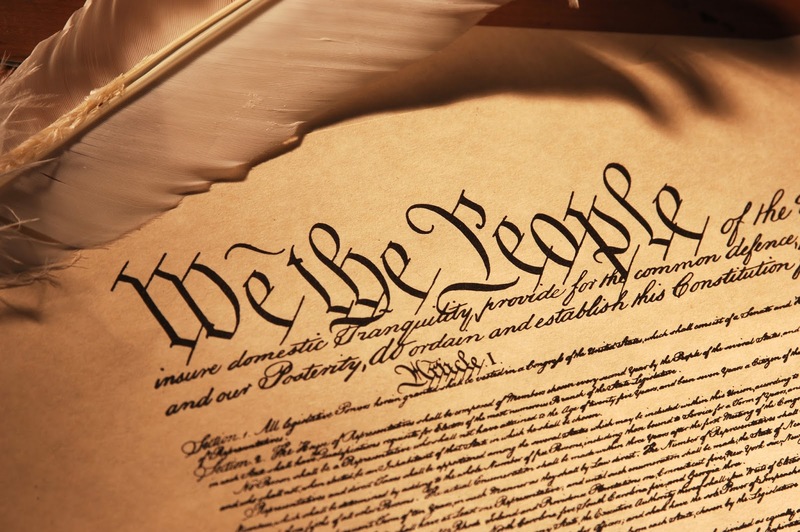 The constitution balances power across many groups." "A fiction. Do you really think a ruling minority couldn't drag the United States into a war if they wanted to? Why they might want to does not matter - maybe the president is worried about his personal prestige or something. Look at all of these drone strikes in Yemen. Did 'the people' decide that one?" "A majority of Americans support them. As long as terrorists are the ones targeted...."
"Ok then, let's make this conversation simpler and pretend the target is not a terrorist. Say it is the camp of a war lord, a dictator, or some land that just suffered a military coup. Most Americans couldn't find this place on a map if they had to. Odds of oppression or violence there spilling over to American shores is next to nil. Most of 'the people' have never thought about fighting there. If the president and his team wanted a war there, would they get it?" "Only if he could get a majority on his side." "Ha! Which majority? A majority of the entire people? Or a majority of the people that matter? Face it: a majority could care less about punishing dictators, or saving the banks, enforcing the drug war, or whatever policy has captured the fancy of the powerful and it would still happen. The American government only listens to its people during election years." "Well that is every other year. At least on the federal level." "On the international stage those elections don't seem to matter. When it comes to America's foreign policy that 'separation of powers' you talk about is long dead. In his party the president is the one who calls the shots; if his clique wants a war they could get it. They would probably even say they were waging war in the name of all humanity or something ridiculous like that." "They would also probably believe it." "Then they believe their own lies. Hubris! I am so tired of American arrogance. Every year some American official or NGO criticizes us because we are not a democratic country. But look at them! To fight in the name of democracy and ignore a majority at home? To claim you act in the name of universal values but then fail to get other nations to support your actions? All of those things Americans like to preach - a sham." "You step too far. We get the kind of government we deserve. But let me propose my own counter-factual. Let us pretend, against the odds, the president actually went to Congress and asked them to authorize this war? Would that change how you see things?" Another long pause. "I don't think so. All I can imagine is Congress rolling over and doing as the president asked. That is how power works. All of those claims that American democracy is different just don't have any.... credibility." Credibility? The world now wonders if the American government does whatever its most powerful members wish it to or if the American people truly have the power to tell war-hungry leaders "NO." Before the week is over they will know.